Grow with our family as a Delivery Driver at Furniture Mart USA Distribution Center in Sioux Falls, SD! Enjoy the variety of your work day by delivering quality customer service and driving to different locations PLUS you are guaranteed to be home each night! WE OFFER an excellent benefits package, great employee discounts, access to our on-site fitness center, and more! 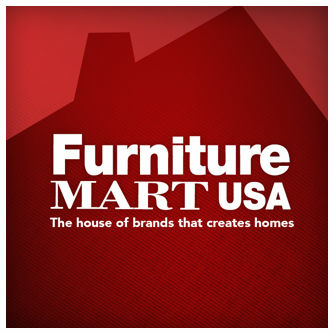 $$$ Earn extra income as an Office Associate at The Furniture Mart in Shakopee, MN! We are seeking a detail oriented and customer focused individual to grow with our family! Fun, Friendly, & Beautiful Work Environment! Grow with our family as we open our new Ashley HomeStore location in Austin, MN - Coming Soon April 2019! $$ Earn extra income as a Housekeeper at our Ashley HomeStore in Austin, MN! If you are organized, self-motivated, reliable, and wish to make a positive difference by up-keeping and maintaining our clean store then this may be the opportunity for you! Perform various cleaning tasks as requested including dusting, trash removal, bathroom cleaning, vacuuming, mopping, etc. Earn extra income as a Warehouse Associate at our Ashley HomeStore in Austin, MN! If you are customer oriented, self-motivated, and efficient then this may be the opportunity for you! Grow with our family as an In-Home Furniture Repair Technician at The Furniture Mart/Ashley HomeStore Warehouse in Medford, MN! Do you enjoy carpentry projects, have a talent for craftsmanship, and desire to use your artistic/technical skills? If so, then this may be the opportunity for you!